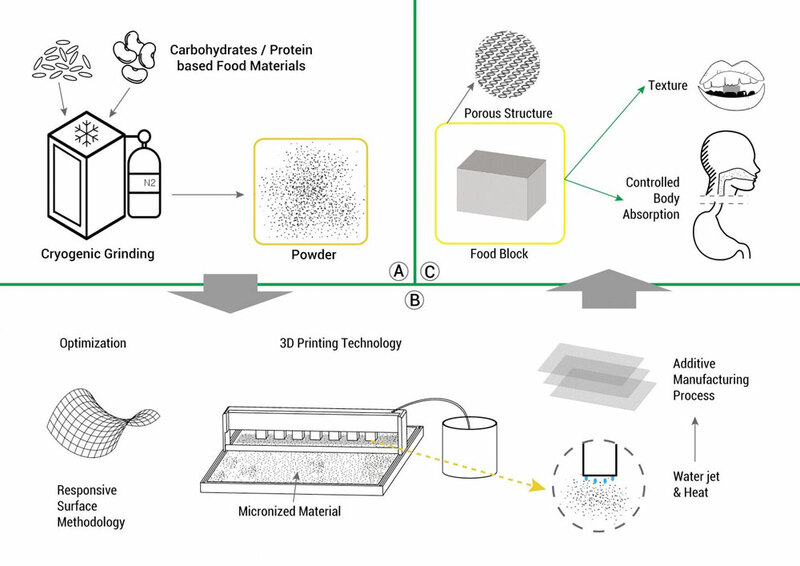 (Nanowerk News) Imagine a home appliance that, at the push of a button, turns powdered ingredients into food that meets the individual nutrition requirements of each household member. Although it may seem like something from science fiction, new research aimed at using 3-D printing to create customized food could one day make this a reality. Jin-Kyu Rhee will present the research from 12:45–1:30 p.m. Tuesday, April 24, in Exhibit Halls A-D, San Diego Convention Center (poster B284 801.9). Contact the media team for more information or to obtain a free press pass to attend the meeting.